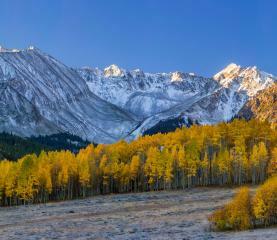 Below is a showcase of local Aspen photographers and their work. Please reach out to them for your advertising and media needs. MarySue Bonetti earned a Bachelor of Fine Arts Degree in Photography from New York City's School of Visual Arts. While a student MarySue was one of a select few to be published in Photo Forum Magazine. MarySue's work has appeared in a variety of publications such as The New York Times, The Huffington Post, Sojourner Magazine, Aspen Magazine, InStyle Magazine, Rocky Mountain Bride, and Telemark Ski Magazine.